HERE ARE SOME GREAT OPPORTUNITIES IN ADDITION TO THE RLA SEASON TO MAINTAIN AND TO IMPROVE YOUR SKILLS! On Friday, November 23rd, players from any program and town can come receive 1.5 hours of box lacrosse instruction and games! Proceeds will go to The Bobby Campbell Foundation!! Learn More and Register Here!!! 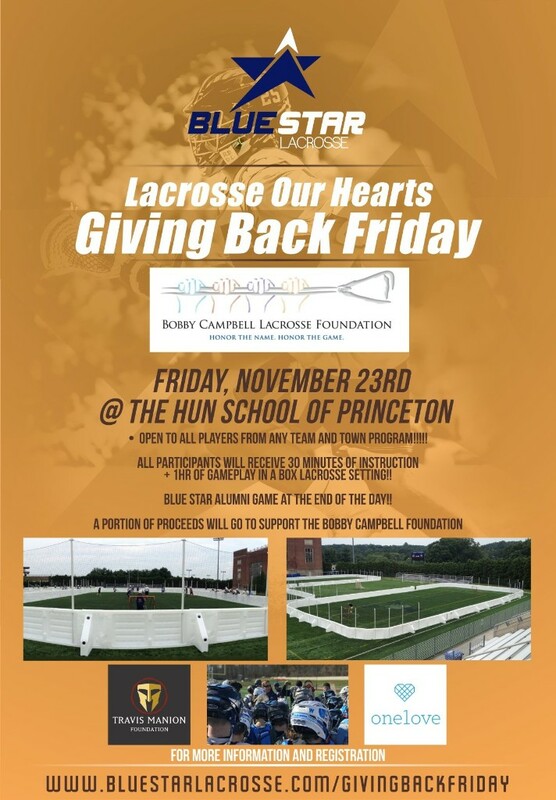 The Bobby Campbell Foundation's mission is to support and promote high school and youth lacrosse in Central New Jersey. In doing so, Bobby's passion to play, coach, and enable others to experience the thrill of America's oldest and most exciting sport will be memorialized. Through the generous contributions of donors, the Foundation is committed to assist the boys and girls of central New Jersey in learning, playing, and enjoying the game of lacrosse. will design a program that is right for you and your sport! IT’S TIME TO GET SPECIFIC!